Blood circulation is considered to be the most important functions of our body as it helps in supplying oxygen to all our organs and most importantly the brain. The blood enters the heart through two large veins, the inferior and superior vena cava, emptying oxygen-poor blood from the body into the right atrium of the heart. As the atrium contracts, blood flows from the right atrium into your right ventricle through the open tricuspid valve. Blood always flows to superior and inferior vena cava, After that, it goes to the right atrium through the tricuspid valve. Then it moves to the right ventricle through the pulmonic valve. Lastly, blood flows to the pulmonary artery and then to the lungs. 1. Drink tea: As Tea is rich in antioxidants. White, green and black tea increases the blood’s antioxidant status and prevents heart diseases as well. 2. Iron-rich foods: Always make sure to have at least few things like red meat, wholegrain cereals, kidney beans etc. in the diet. 3. Control of blood pressure and keeping fit: Walking, running and cycling increase heart rate and pumps more blood in the body which ultimately boosts boost circulation. 4. Eating fish or fish oil capsules weekly: Omega-3 fatty acids in salmon and Omega-3 capsules make a positive effect on blood pressure. 5. Load up on garlic and ginger: Fresh garlic and ginger are very healthy and cleans the blood. 1. Don’t stress and surround yourself with things that are pleasing. 2. 30 minutes of walk each day improves your blood circulation. 4. Don’t sit for so long on the seat and always change your posture while working. This helps spine and blood flow more easily. 5. Avoid Alcohols as it leads to loss of health and causes heart disease. 6. Cut out stimulants like coffee, energy drinks or diet pills. 8. Remember Your Roots: Drink a lot of water to flush out the toxins of the body through urine. 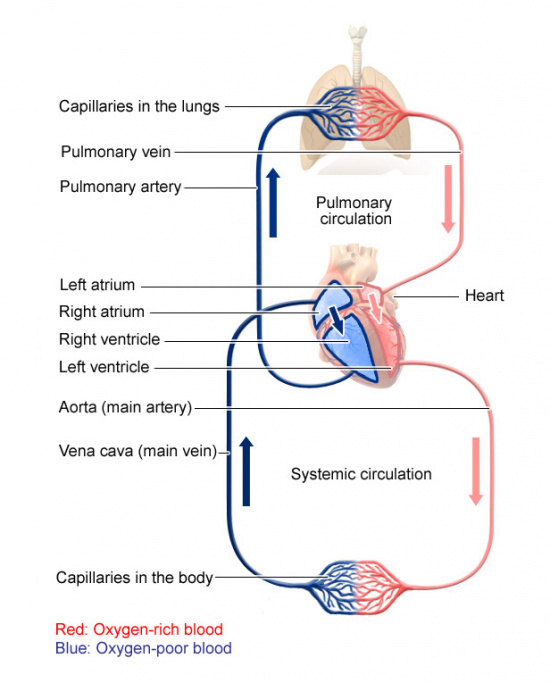 What Helps Circulation of Blood in Body? The circulatory system is known to be an organ system controlled by the heart, so as to provide a constant supply of blood to our body with the help of blood vessels. 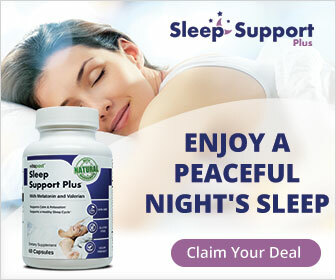 It is also important because it is the only component which supplies oxygen and nutrients to all the body cells. It also helps in removing the waste products or toxins from our body. Sit with your legs spaced slightly apart and your feet on the floor. Make sure you get up from time to time so that you are not sitting in the same position for too long. You can also slightly elevate your legs to help circulation. While sleeping, prop your legs on a pillow to encourage circulation. Some foods that improve blood circulation in legs are oranges, sunflower seeds, salmon, and ginkgo biloba. 1. Build a perfect salad with a lot of fruits and vegetables. You can even toss the salad in some sauces and lemon juice to add some flavor to your salad. 2. Munch in some nuts such as walnuts and almonds, which have high amounts of antioxidants. They help in improving circulation of blood in your body. 3. Don’t forget the importance of seeds including chia, pumpkin, flax, pine, and soy. These seeds are full of vitamins, minerals, and proteins. 4. Water should never be forgotten by you. We need water to run all the systems of our body run smoothly. Remember to drink at least 8 glasses of water each day to keep yourself well hydrated. 5. The garnish leaves such as parsley and coriander are very important for our body. These two herbs are the healthiest herbs known in the world. If we use these in our diet, we can get a lot of benefits from them as they tend to increase blood circulation in our body. 6. We need to have a good digestive system in order to have a good blood circulation in our body. Our body waste materials should be flushed out of the body in time so that no bacteria are present in our body and retaining the process of our growth mechanism. I was diabetic for 13 years and was taking metformin 1000 mg twice daily. Last A1C was 15. My symptoms have always been stomach and bowels. I am a 54 year old male. the metformin wasn’t really working so this year, our family doctor started me on Natural Herbal Gardens Diabetes Disease Herbal mixture, With the help of Natural Herbal Garden natural herbs I have been able to reverse my symptoms using herbs, my symptoms totally declined over a 7 weeks use of the Natural Herbal Gardens Diabetes disease natural herbal formula. My diabetes is totally reversed!